There can be no dispute that Apple’s iPhone has revolutionized the way we connect with people, do our shopping, entertain ourselves, and learn new things. 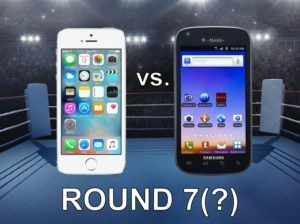 We admit it: we’ve lost count of how many rounds the Smartphone Wars have gone. The Smartphone Wars have been skillfully reported by others before, and this post will not attempt to tell the full tale better, or provide a revisionist history. But the U.S. cases, originally filed over seven years ago, made headlines again last month when a jury awarded Apple $539 million in a new phase of the battle. The most shocking part of this new headline? Almost all of that jury award was based on Samsung’s infringement of Apple’s DESIGN patents. When we think about “patents” in everyday life (and who doesn’t think about patents pretty much every day? ), we’re usually talking about utility patents. Utility patents protect the function of a process or a thing, and how that process or thing’s component parts work together. Sometimes they protect things that are made by a particular process, but those “product-by-process” utility patents are largely out of fashion these days. Sgt. Joe’s investigation has determined that design patents ONLY protect the ornamental features of an object. Like utility patents, design patents are only granted to things that are (1) new and (2) not an obvious variation of the things that were already created or known. But there are big fundamental differences between utility patents and design patents. First, design patents only provide protection for 14 or 15 years. Utility patents can protect innovations for up to 20 years. The biggest difference is that design patents do not (and cannot) protect functional features of the object. 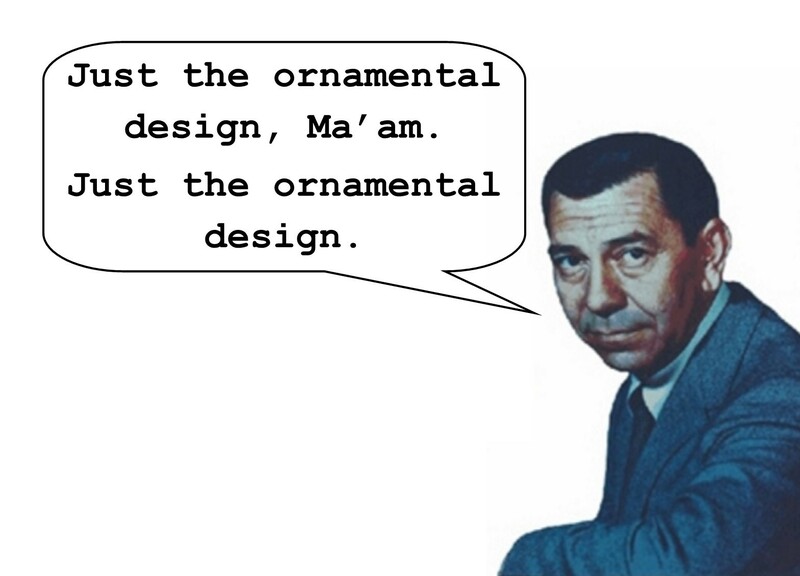 Instead, design patents only provide protection for the ornamental design elements of an object. Unlike utility patents, a design patent does NOT protect the function of a thing or of a process. Instead, design patents only protect the ornamental features of an object. They cannot protect the function of a thing, or how the thing’s components work together. They cannot protect a process. The ornamental features don’t have to be pretty (see example above), or fancy, or even improve the look of the object. They just have to be “ornamental,” in the broadest meaning of that word possible (that is, essentially “not functional”). What Do Apple’s Design Patents Protect? At trial, they leveraged a handful of utility patents and four design patents, all of which focused on different aspects of the iPhone product. Three of the design patents protected the physical design of the iPhone product, while the fourth, D604,305, protected the ornamental design (but not the function) of the iPhone’s graphical user interface (“GUI”). Design patents protect everything shown in the design patent’s drawings, except for features shown in broken (dashed) lines. Looking at the image above, then, Apple’s GUI design patent protects the arrangement of the app icons, and probably the icons themselves too, but does not cover the larger rectangle in which the app icons are arranged. 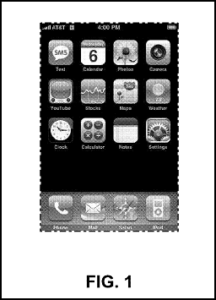 Apple’s other design patents cover the rectangular shape of the iPhone and the location and shape of its “home” button. Why Was Samsung Back in Court All These Years Later? A jury decided that Samsung infringed Apple’s patent portfolio way back in 2012. You may have heard about the insane$1 billion jury awardfrom that trial. 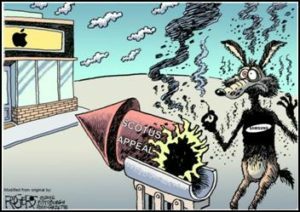 Or maybe you heard about the2013replacement jury award of just $290 million, or maybe the Supreme Court’s unanimous reversal of those decisions in 2016. Last month’s $539 million jury award is the result of the Supreme Court-ordered retrial. This most recent retrial focused only on how much Samsung should pay Apple for infringing the Apple patent portfolio. No, Samsung was NOT represented by Wile E. Coyote. The details don’t really matter for purposes of this post, but to grossly oversimplify it, Samsung’s lawyers successfully argued that the appellate court incorrectly interpreted the phrase “article of manufacture” in the relevant federal patent statute. A new jury surprisingly calculated Samsung’s total bill to be HIGHER than it originally owed Apple for the same conduct. In other words, Samsung’s victory at the Supreme Court was punished by an even bigger loss back in the trial court. And, as hinted earlier, the jury’s award was almost entirely based on Apple’s design patents. To be more specific, over 99% of the $539 million award was based on the four Apple design patents, while just $5.3 million was attributed to Apple’s utility patents. That places a value of $533 million on the four Apple design patents leveraged in this trial; roughly $133 million a piece. Not too shabby considering filing fees for design patents are less than $1,000 for almost all situations. 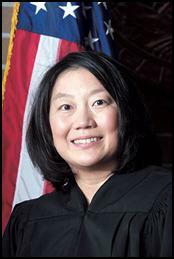 Samsung can still appeal this latest jury award to a federal appellate court. And given the spanking they just received from this new jury, they probably will. So don’t expect that new Galaxy S9 phone to cost significantly more any time soon. Plus, Apple launched a completely separate patent infringement suit against Samsung in 2012 that finally ended with the Supreme Court denying Samsung’s appeal in late 2017. Although this particular lawsuit has ended, the trial judge (the same one presiding over Apple’s $539 million win) described Apple and Samsung as creating “a worldwide constellation of litigation” based on their respective patent portfolios. Expect more lawsuits to follow. Should My Business File For Design Patents? 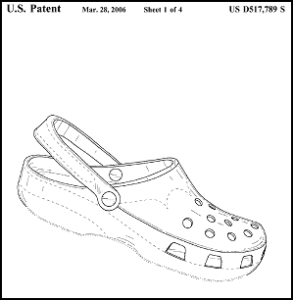 Design patents offer efficient, useful protection for just about any consumer product. 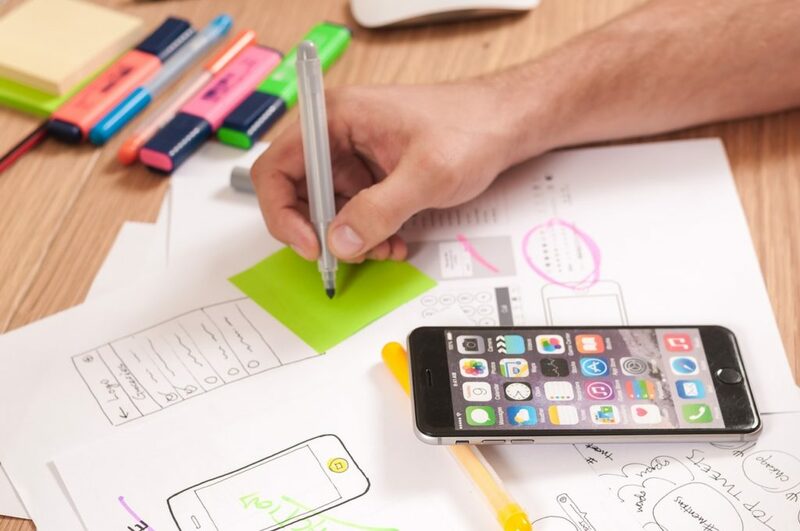 While the protection offered is narrower than you might get with a utility patent, design patents tend to be far less expensive to file and tend to progress through the patent examination process much faster than utility patents. As long as the ornamental features of your product are visible to your customers, then design patents can provide excellent protection that complements utility patent protection for the product’s functionality. Design patents aren’t particularly great to protect chemical substances, processes, or circuit designs (mask works). But they’re great for any physical product, including some really odd ones. But be careful—the same “first inventor to file” rules that now apply to US utility patents also apply to US design patents. Good advice: file your design patents before any public disclosure or public testing of the product. 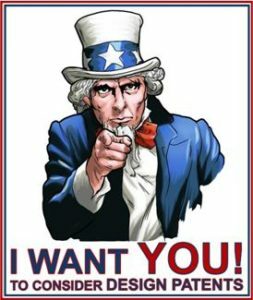 Better advice: Talk to an experienced US patent attorney about your product launch plans so all necessary protection can be arranged before it’s too late. Randy Micheletti, an experienced USPTO-registered patent attorney, founded Incubate IP specifically to help startup companies succeed. Contact Incubate IP at 312-600-5412 or through its website for a free custom intellectual property needs assessment. Yep I’m an attorney. But while this post obviously contains wildly valuable information, it is not legal advice you should act upon. Always sit down for a chat with an attorney before implementing an intellectual property strategy to protect your ideas.